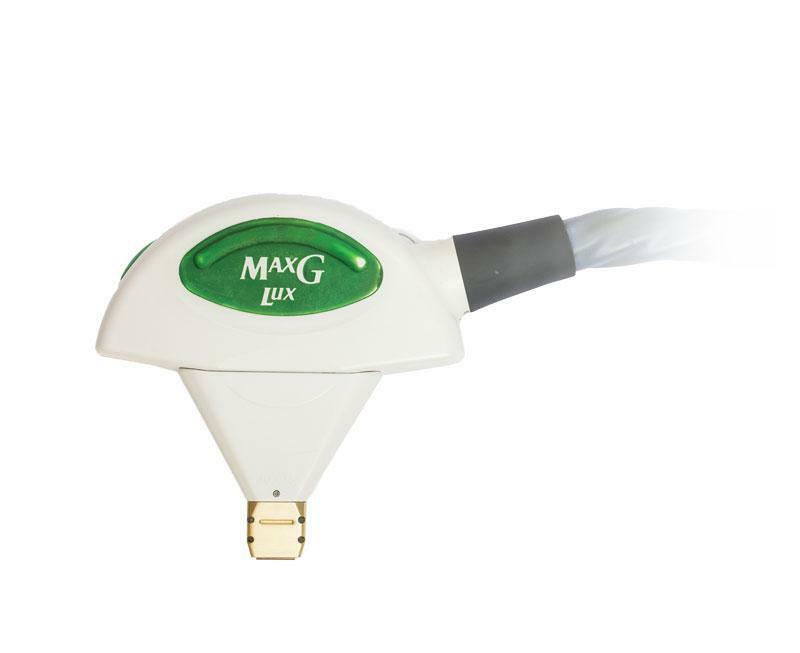 MaxG offers superior vessel and pigmentation clearance that goes beyond single wavelength lasers. This innovative machine delivers over 30% more peak power in shorter pulse widths for clearing the more difficult, finer facial vessels and pigmented lesions. It also offers superior closure of the larger, deeper facial vessels with unique combination of Dynamic Spectrum Shifting and dual-band filters which provides more uniform heating across the entire diameter of larger vessels. The treatment uses an optimized light device to deliver energy into your skin, targeting vascular and pigmented lesions, which slowly disappear as your body’s natural healing process progresses. MaxG uses specialized hand pieces which filter light to target blood vessels and pigmented lesions. Each band of the spectrum has a wave length that is ideal for different treatments, such as sunspot removal and vessel clearance. Your treatment provider will move the hand piece over your skin, pulsing it all the while. Each pulse will send a beam of light through your skin. A flashing light, an audible tone, and a mild sensation on the skin will tell you when the hand piece is being pulsed. The procedure can be performed in as little as 30 minutes, depending on the size of the treatment area. Immediately after treatment, you can expect a mild sunburn-like sensation, possibly accompanied by some minor swelling. This usually lasts 2 – 24 hours, and can be soothed with cold gel or ice packs. With MaxG’s patented advances in pulsed light performance, you can experience a comfortable, no-downtime treatment on the way to a refreshed and rejuvenated appearance. 1. Sunspots/Sun Damage: the sunspots will darken after treatment and be naturally shed from the skin within 1 – 2 weeks. 2. Rosacea: Skin tone will typically benefit from less pronounced redness within a week after treatments. 3. Spider Veins: Vessels may disappear after treatment or they may appear darker and then fully or partially fade within 10 – 14 days. 4. Typically, a few visits will be necessary to treat sunspots, rosacea, and vessels.